Take A Kid To The Course is back again for another year starting on July 2nd. For every paying adult, one kid under 16 can golf for free. 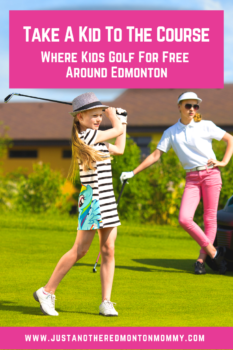 The following courses around Edmonton are participating in the Take A Kid To The Course program. Only offered on Sunday, July 7th, and Sunday, August 4th, after 4:00 pm. Changes to the program can occur at any time so it’s always best to call and confirm that the program is available at your chosen golf course prior to going.